Ever since the first day of this month, it’s been surprisingly cold (for Tennessee, anyway). I’m wearing a sweater as I write. But the present cold is no surprise right now. You’re probably aware of the hurricanes coming in from the south. We won’t have anything more than a little wind and rain, but I pray you’re safe, wherever you may be. Don’t lose faith, writers – everything happens for a purpose! 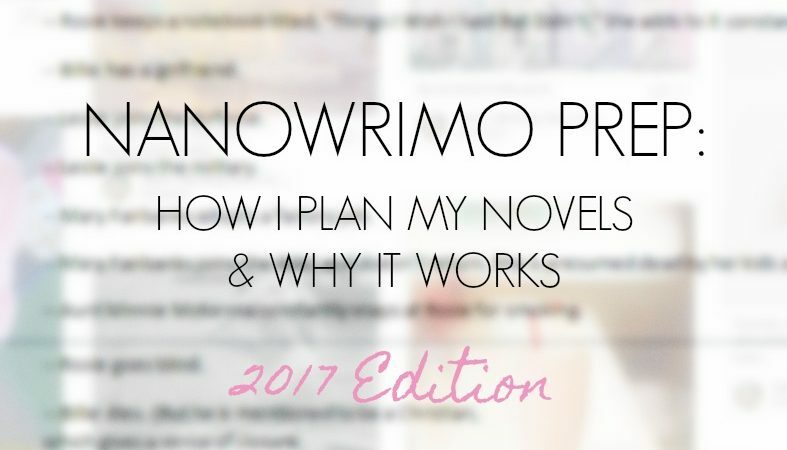 Last year’s NaNo Prep article (under this same title; linked below) is, according to Pinterest, my most popular article by far. So instead of sharing my old article a ton of times this season, I decided to rewrite it to be both better written and better formatted. That article is about how I, a plantser, plan my novels. I wrote from my own experience as being both a plotter and a pantser, and finally deciding I fell somewhere in between. My goal with this article is that it could apply to all three categories in some way or another. First things first! Are you a plotter, pantser, or plantser? PLOTTER – one who writes with a plan, or outline, in mind. I called myself a plotter for the longest time. But after trying to outline my entire novel last year (which I explain in my previous article), I realized it just wasn’t for me. But this article has a lot to offer for you plotters out there, so hang tight! PANTSER – one who writes “by the seat of his/her pants”; AKA without a plan. I remember trying to “pants” a few novels over the years. I was never able to finish them. Without a general idea of what I or the characters were doing, I got stuck. And those manuscripts have been collecting dust ever since. So, no, I don’t do that anymore. And to be completely honest, I don’t know the benefits of this article to a pantser. But then again, if you were really a pantser, you wouldn’t have gotten this far into the article at all. So I suppose we’re all on the same page. PLANTSER – one who writes with a general plan, but also leaves things to mystery. Aha, now this one is me! This term is lesser known in the NaNo community, but personally, I think it’s probably the most common of the three. It’s pretty easy to grasp: a plantser is a writer who is neither a plotter nor a pantser, but someone who falls somewhere in between. That quote describes my “plantsing” style perfectly: I have an idea as to what I’m doing, but I also like to be surprised by my own story. That latter part is just the reader in me. Now, this NaNo will be my fourth year in participation, which is pretty wild. I’ve written the following stories. All four years, I’ve been using the same method of prep; and so far, I have successfully written the 50K within 30 days. One Notes file in my iPhone. That’s it. Prep should be simple and fun, so don’t worry about it too much; even if you are a plotter. Especially in the case of this year’s Prep, this was my first step: story-boarding. With this step, I was able to find my characters in minutes without hardly typing a word. In fact, my novel had a story-board before it had a Word document! To accomplish it, I simply searched “character illustration.” The main results are simple, cute illustrations of, you guessed it, characters. Of course, you might prefer to use real people as reference. That’s totally okay, too! If that’s the case, instead do a search for “character inspiration” and check out my Potential Characters board. Looking at all the photos/drawings of these people just begging to be written into a story is pretty darn inspirational; before I’d done it, I had absolutely no clue what my novel would be at all. Once I saw my characters, usually doing or saying something, I could see their personalities already. I then looked to my Character Names board and quickly names for my fresh new characters. Afterward, I did another simple search: “dialogue prompts.” This way I could match the saying to the character, further developing them. And voila! My first step was complete! To get some ideas, here is my story-board for this year. Once all is said and done, you can use the board to add whatever you think would apply to the story. Good ideas. Bad ideas. Regardless, it needs to be documented somehow. Because we writers are forgetful things. This is where the Word docs, Notes files, and notebooks come in handy. The notes on my laptop are written during brainstorming sessions, those on my phone are when I don’t have a computer near me (e.g. when I’m at Publix, picking up ice cream and coffee creamer, as I do). I’m serious, now! This is probably the most important step. Even if the idea doesn’t fit into anything at all, write it down somewhere. This is the best method of brainstorming I’ve found so far. Pictured: “The Girl Who Frosts the Cakes” planning document. It’s important to note that none of these ideas make its way into the story: not even one. But the brainstorming sessions helped me discover my story, never mind that it was just plain fun. The Word doc. for that novel doesn’t have a lot of ideas listed. But that’s only because they’re all in my phone! As of September 12, 2017, I have four separate Notes files for my novel: one for overall notes (it has over eighty ideas and counting! ), one for third draft thoughts, one for title ideas, and one for my characters. I’m willing to admit that I always have my phone either in my back pocket or in my hand – it’s just nice to know I have it with me. Because of it, it makes note-taking so easy. I don’t always have a notebook or a computer near me to write down my wild or ingenious brainchildren, so having the accessibility of a phone to take quick notes is fantastic for me. I’ve already mentioned the characterization through story-boards, but we have to go a little further than that. I don’t like to over-build my characters: it just leaves me exhausted and stressed. I’d much rather get to know my characters better by letting them live their lives through my novel, rather than forcing traits onto them. Now, that isn’t to say I don’t build my characters during Prep. I totally do. But we don’t want to overexert ourselves before NaNo even begins, do we? So instead, I simply write brief paragraphs about my most important characters. (Don’t stress over the secondary characters so much; they work themselves out.) Based on the photos and ideas I gathered from Pinterest, I first write their outward appearance: hair, eyes, skin, height, etc. Then I add to the paragraphs over time, giving one character an odd hobby or a beloved pet whenever I feel it’s necessary. This is where note-taking on my phone comes in handy. In addition, I love using character questionnaires. Not only is it fun, it’s incredibly useful to building your characters! Small note: For some reason it’s helpful for me to come up with the Hogwarts houses for each of my characters. I don’t know why, but maybe you should try it, too. We’ll call it an experiment. Okay, here’s the thing: I’m not a master at plot. If I create a good plot, it was probably by accident. That still holds up, actually. My plots are created when I let my characters run lose through their little world and wreck havoc for themselves, and that’s what I enjoy writing! Like I said last year, I suggest doing some searches for plot help. Because I am clearly of little help on the matter. This balance of “I-know-what-I’m-doing” and “what’s-gonna-happen-next?” keeps me glued to my own story. We may be writers, but we’re readers, too! But why is that so important? It’s simple. If I’m hooked on my own story, I’m way more likely to finish it; AKA to win NaNoWriMo. Win-win! Story-board for inspiration and characterization. Write everything down, preferably in an easily-accessible place. Get to know your characters, but don’t overdo it. 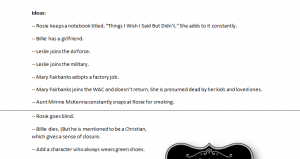 Write a brief paragraph on your main plotline. If you’re new to NaNo, here are some articles that can help. Hope to see you in November, writer! Let’s talk! How do you Prep for NaNo? Are you a plotter, pantser, or plantser? Share in the comments! Great post, Sam! I have never done NaNoWriNo, but while writing my stories, I am most certainly a plantser! I don’t know if I’ll try NaNo this year, but I have heard of it before. It sounds interesting! Thank you, Paige! 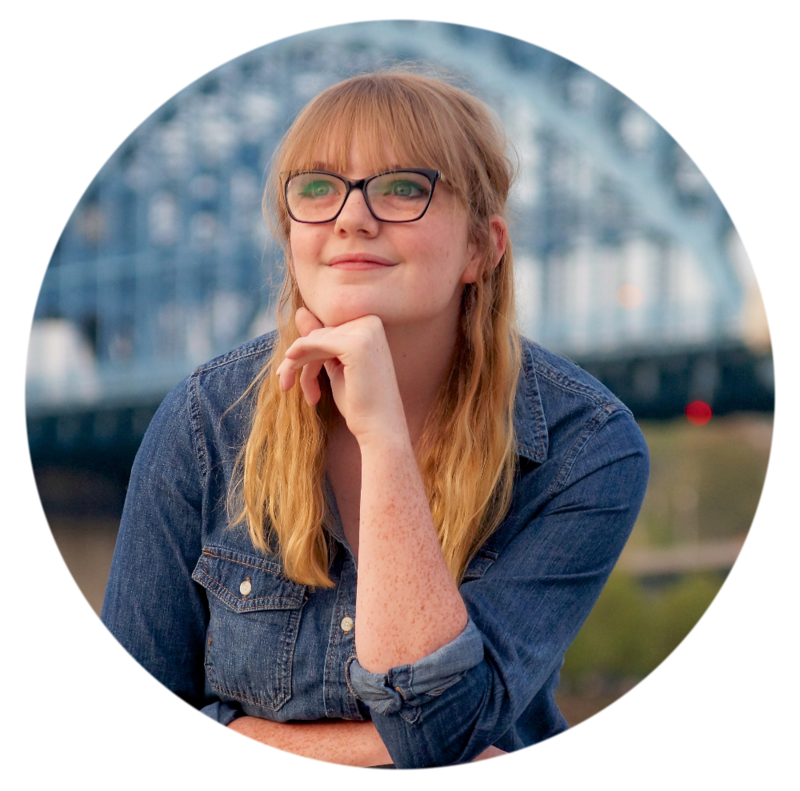 I definitely recommend NaNo to every writer – it’s fun, challenging, and downright empowering. Plus, it’s a great start if you ever want to get serious about writing a novel. 🙂 Thanks for commenting!